Comedian Kumail Nanjiani at Jokes for Votes. Photo by Austin Hidalgo. Comedian Jordan Rock at Jokes for Votes. Photo by Austin Hidalgo. Comedian Beth Stelling at Jokes for Votes. Photo by Austin Hidalgo. Comedian James Adomian at Jokes for Votes. Photo by Austin Hidalgo. 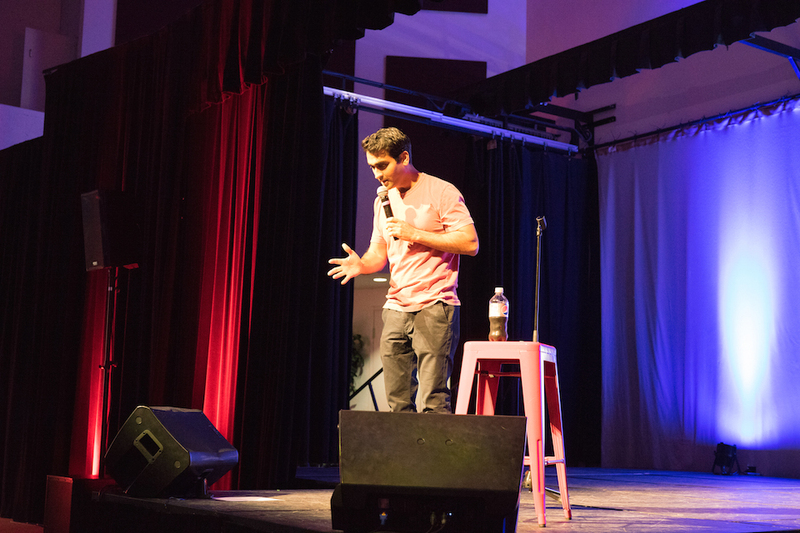 Comedy is often aimed at critiquing politics, but a night of laughter at Jokes for Votes — a standup comedy show held at the University Student Union Northridge Center at California State University, Northridge on Oct. 14 — brought comedy and politics together for the same cause. 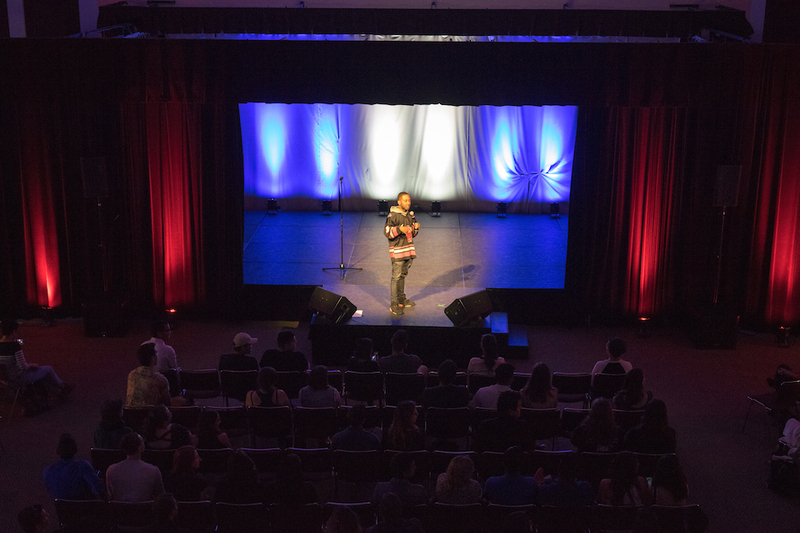 The show was the fourth stop on the Jokes for Votes tour organized by Funny or Die and NextGen Climate, visiting over a dozen California college campuses in an effort to increase voter registeration amongst young people before the state deadline on Oct. 24. 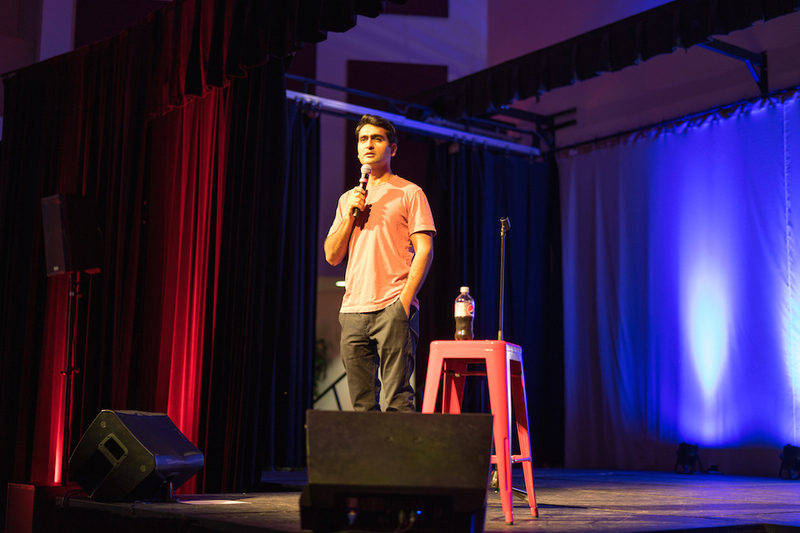 Popular comedians such as Kumail Nanjiani, Sarah Silverman and Demetri Martin are participating headliners. 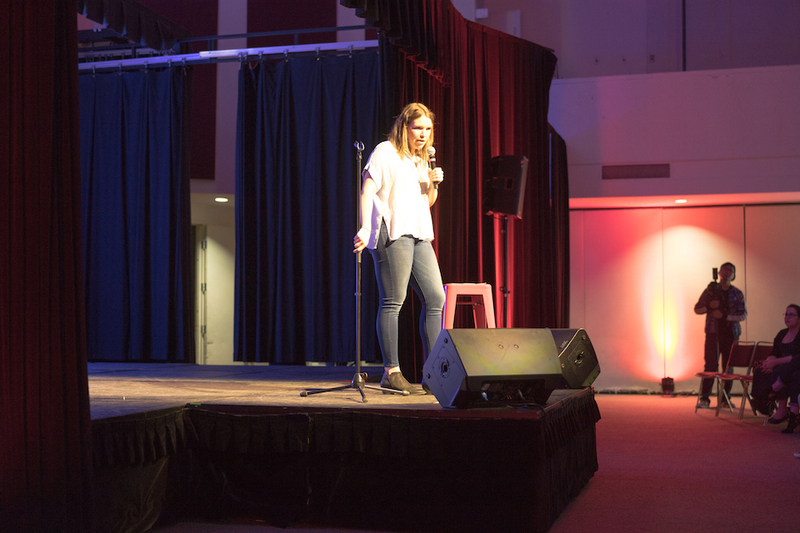 Nanjiani and comedians Beth Stelling, James Adomian and Jordan Rock treated CSUN students and community members to some comic relief while giving them an opportunity to politically engage — all without mentioning politics in their routines. Rock, who hosted the show, said comedy and politics go hand in hand. Voter registration tables were strategically placed in the Northridge Center’s lobby so students had an opportunity to register before or after the show. Associated Students coordinated the event as part of an initiative to get students to register for the Nov. 8 election. Through events like the Big Politics fair on Oct. 6, AS has registered more than 1,000 students so far, according to Austin Ysais, program coordinator for AS Productions. Sophomore and mechanical engineering major Ryan Bratcher registered to vote at the show. Bratcher said he might not have registered if he did not go to the show, as the deadline is coming up very soon. 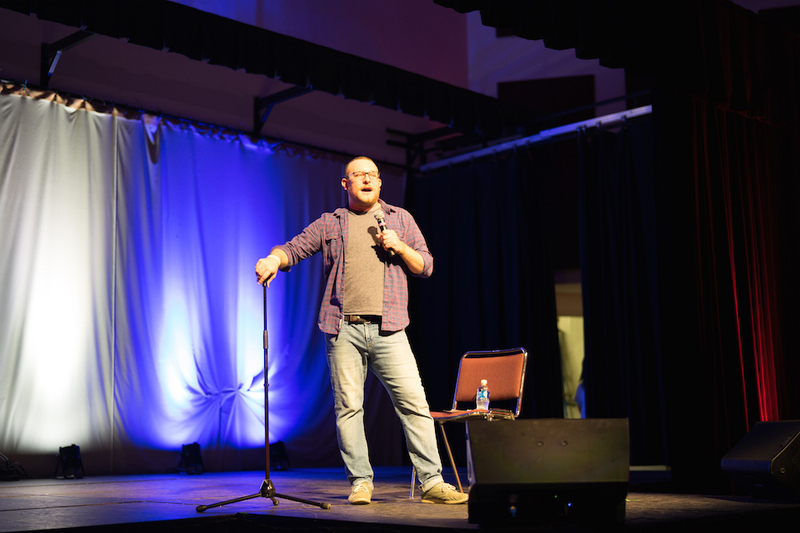 Bratcher said a comedy show was a great way to make politics more accessible for students. The California voter registration deadline is Oct. 24. To register online, visit http://registertovote.ca.gov. You can register in person at county elections offices, any Department of Motor Vehicles office, and many post offices, public libraries, and other government offices. Jokes for Votes invites you to register through your phone by texting 384-387.